The Party board 'So Uncomplicated' is made from Bamboo and features a poem by Maria Barnas. 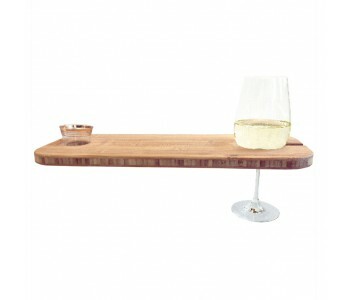 The large cut-out in the wood is specially made to hold a wine glass. 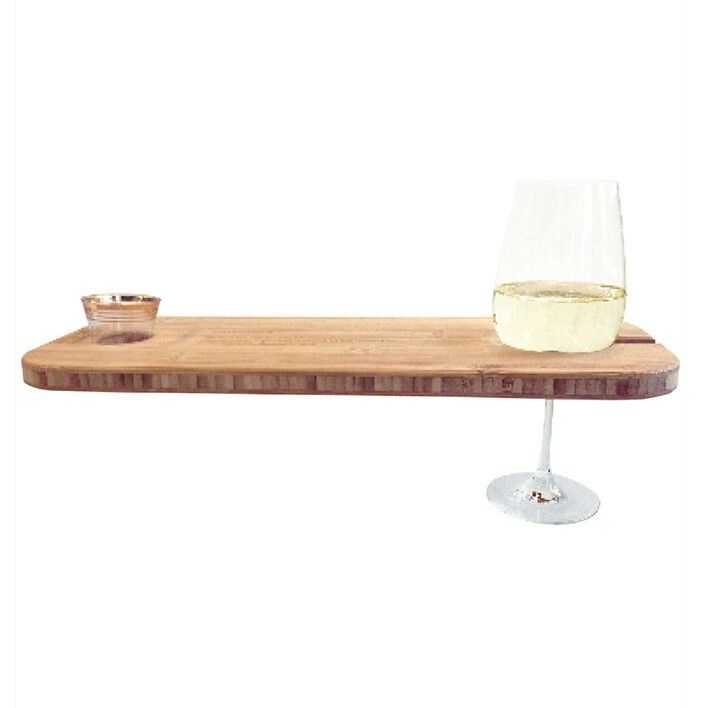 The wine glass remains steady when you put the board down on a table. 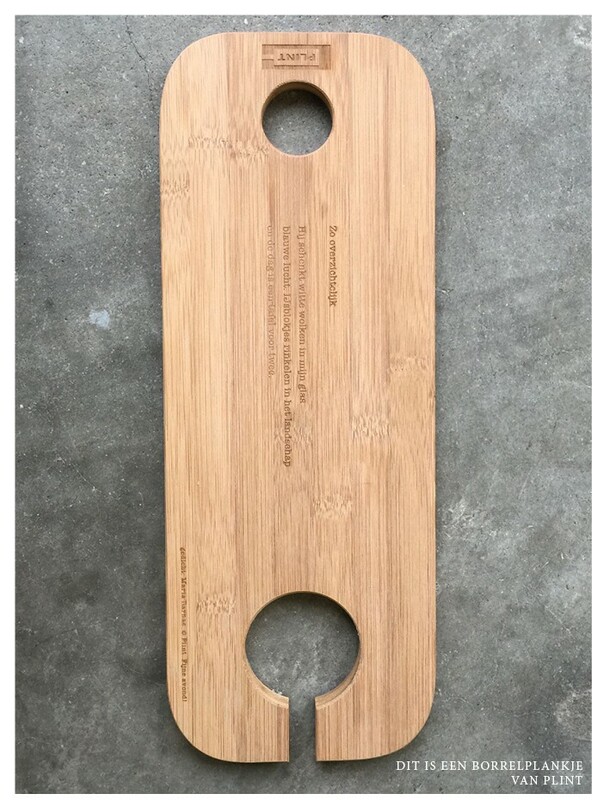 You can use the small cut-out to hang the board up or to hold an appetizer glass. Unwind with a delicious glass of wine and a tasty snack and forget all your worries. and the day is a table for two. Dimensions : 40 x 15 x 1,5 cm.